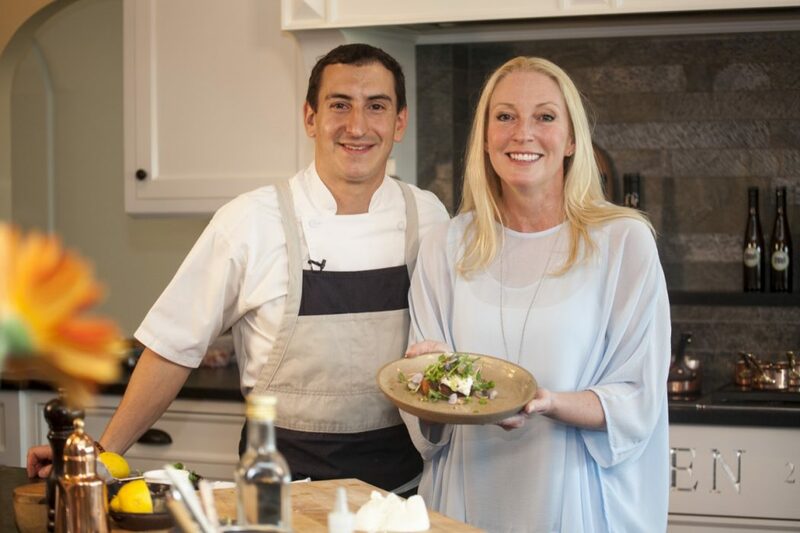 Matt Varga, the executive chef at Gracie’s in Providence, was working with some lovely, handmade pieces of ceramic tableware he brought from the restaurant as he prepared a meal with host Parker Kelley for the upcoming Middletown, R.I. episode of New England Living TV. 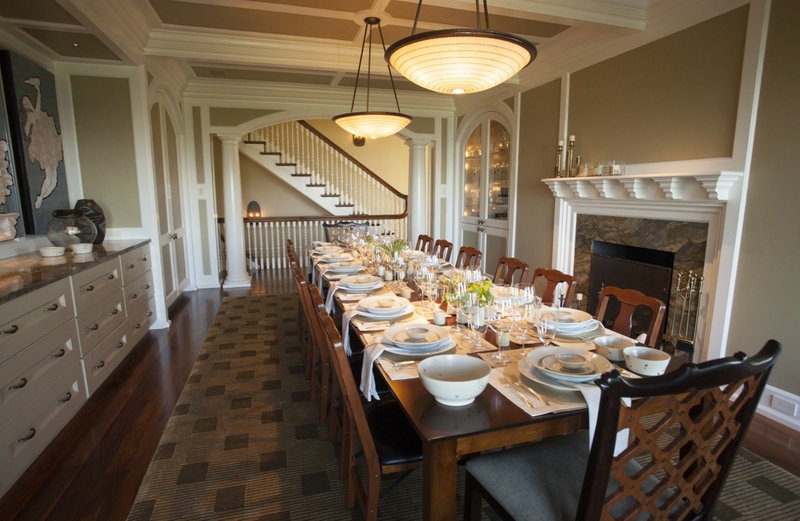 As they toiled in the kitchen of the home featured in the episode, the dining room table was beautifully set with white linens and fresh flowers. Atop each place setting was a petite bowl, another piece of handmade pottery, that came from a different potter. The beautifully-set table as seen in our Middletown, RI episode includes pieces from Michelle Phaneuf Ceramics. 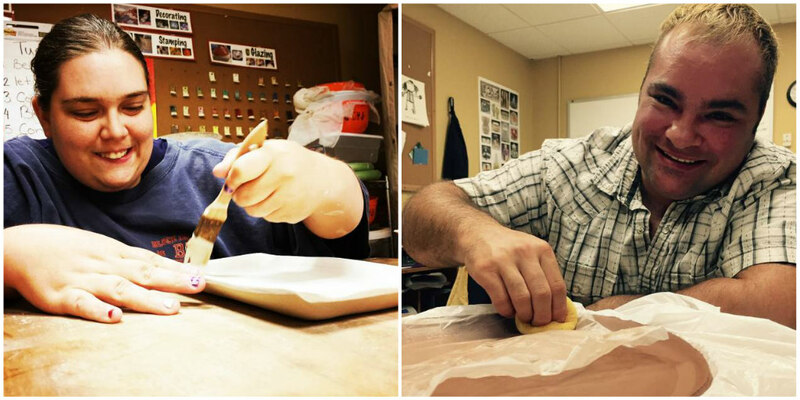 ReFocus works to enrich the lives of adults with disabilities, and The Little Clay Studio provides a place for clients to flex their creative muscles, develop self-confidence and acquire skills that lead to gainful employment. Based on the pottery pieces we saw while filming our Middletown episode, their clients are thriving, and beautifully so. Missy, on the left, and Andrew at work at The Little Clay Studio. 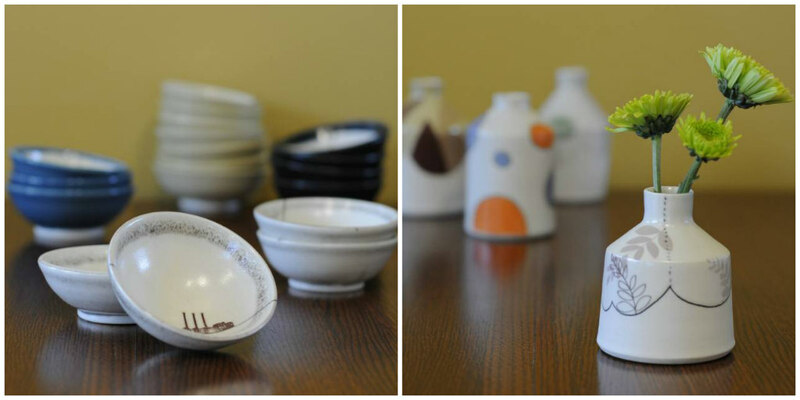 Last year, TLC began selling ceramic tableware that was handcrafted by clients on a wholesale basis. 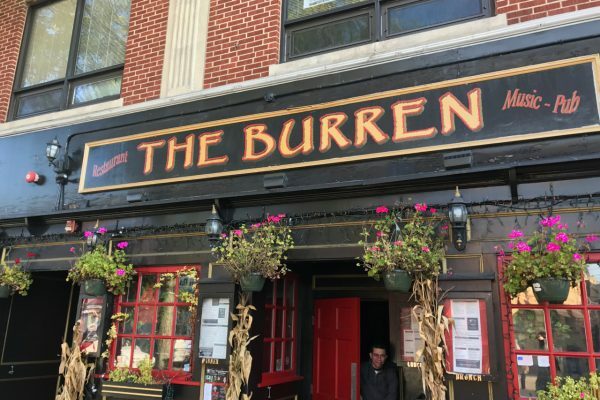 Since then, clients have created place settings that are used for dinner service at Gracie’s, and for the breakfast plates at Ellie’s Bakery, also in Providence. The pottery can be purchased at art festivals, galleries and shows throughout Rhode Island. 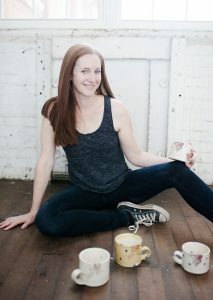 Michelle Phaneuf in her studio; Roxanne Bryant Photography. The petite bowls – or “teeny” bowls – perched atop each place setting in the dining room were handmade by Michelle Phaneuf, owner and artist at Michelle Phaneuf Ceramics. “The teeny bowls are my bestseller,” she says. The large serving bowls on the table are also her work, as are the bud vases the homeowner used to create the centerpieces. Michelle, a potter for about 20 years, says she was “Really bad at it to begin with.” That is difficult to believe based on her current work. “I stuck with it and finally what was going on in my brain started to come out in the clay,” she says. On the evening we were filming, Michelle enjoyed dining at the table where her work was prominently displayed. She’s a good friend of the homeowner, while her husband, an architect, worked on the renovation of the home. “The best moment was when Matt walked in, checked out the table and said ‘I have these,’ as he picked up one of the teeny bowls,” Michelle says. Her pieces are available on Etsy and at local retailers, including Stock Culinary Goods in Providence and Hippo in New Bedford. Watch the Middletown episode of New England Living TV on WBZ | CBS Boston on Sunday, June 11th at 11:30 a.m.
A selection of Michelle Phaneuf’s pieces.